Looking for more information on your favorite hobby? 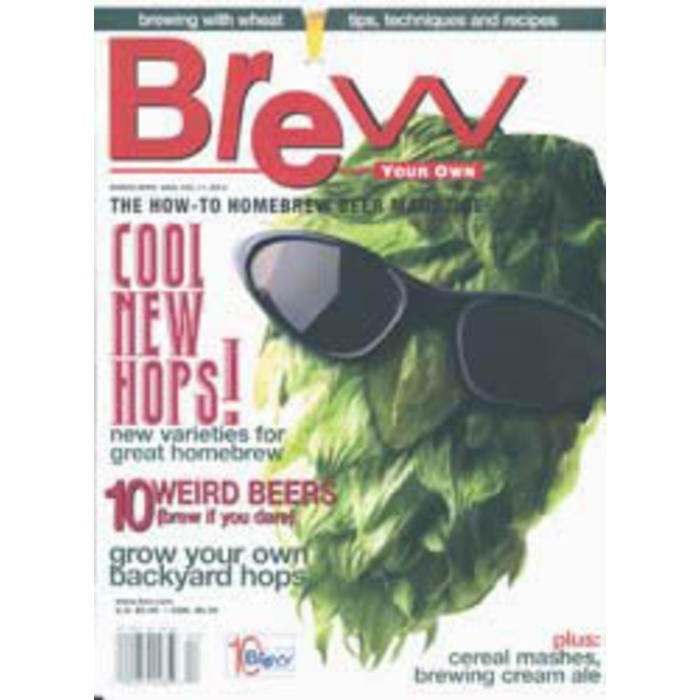 Brew Your Own offers 8 issues a year of articles, recipes, brewing tips, and much more. To clench the deal, we are throwing in a free vial of White Labs yeast! With the next order you place with us, just let the person on the phone know you would like to redeeme the yeast. At $30, you are guaranteed not to find it at a lower price anywhere else. Magazines will ship out in 1-2 months, depending on when the mailing cycle is at the moment of ordering. Please note: this SKU is for customers in Canada and Mexico only.